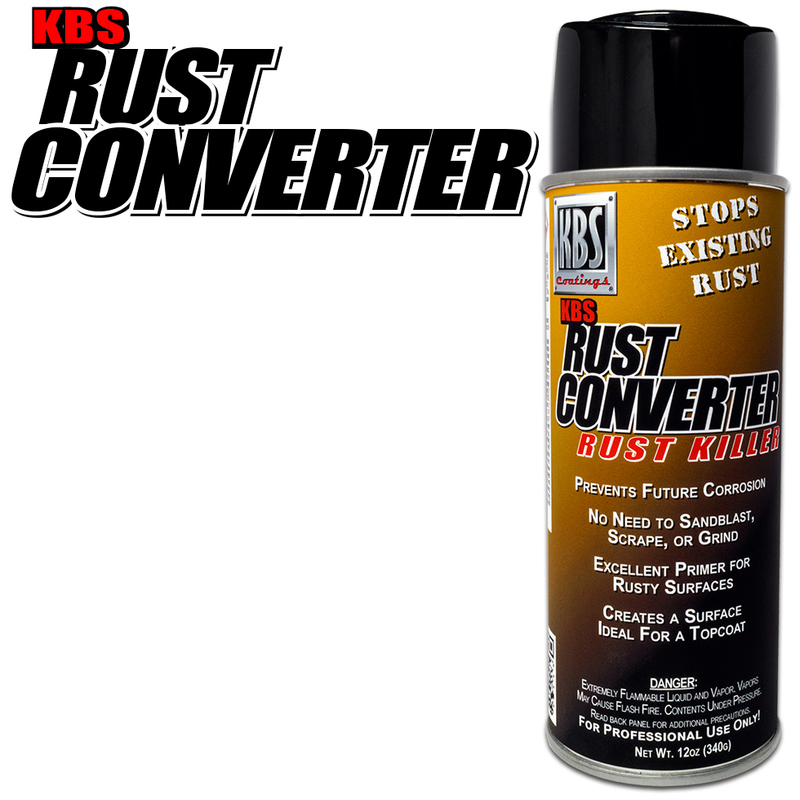 KBS Rust Converter easily converts a rusty surface into a black, inert primed surface that is ready for paint and compatible with most topcoats and also protects against future rust. 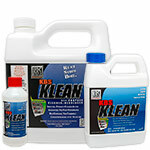 While the most permanent solution for rust prevention is the KBS 3-Step System of KBS Klean, RustBlast and RustSeal, KBS Rust Converter can be used when you are unable to use the KBS 3-Step System. 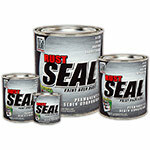 12oz aerosol can of KBS Rust Converter should coat up to 20 sq. ft.
Drys to look like black paint, seems durable and functional. Great product. Sprayed nicely and some completely rusted lawn furniture. Covered nicely. Easy to coat over. Very easy to spray on a rusty area and then spray on a finish coat paint. I recommend. I've actually used this product when I was employed by Colorado Department of Transportation. We tested it on Salt/Sand V-boxes that fit into the back of our tandem dump trucks. I was amazed at how well it soaked into the rusty metal that was starting to flack off. Once applied, I would pressure wash the treated area the following day and you would not believe how well this lifts off the rusty metal. 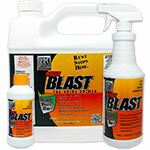 I've started to use this product for my vehicles here in Pennsylvania, which should be called the RUST belt due to the use of spray deicer and salt. So far I am pleased with the product, but time will tell. Every oil change I chase rust on the cars. The product worked well and bonded to the surface as advertised. It was easy to use . My only negative was it seemed like it did not cover as much surface per can as it had claimed. That could be my fault in the way I used it. Overall it's a good product and I would use it again. In fact I am ordering some more now. I cleaned up the rusted surface. Sprayed this on. Turned rust to a black surface. Simple. Worked well.